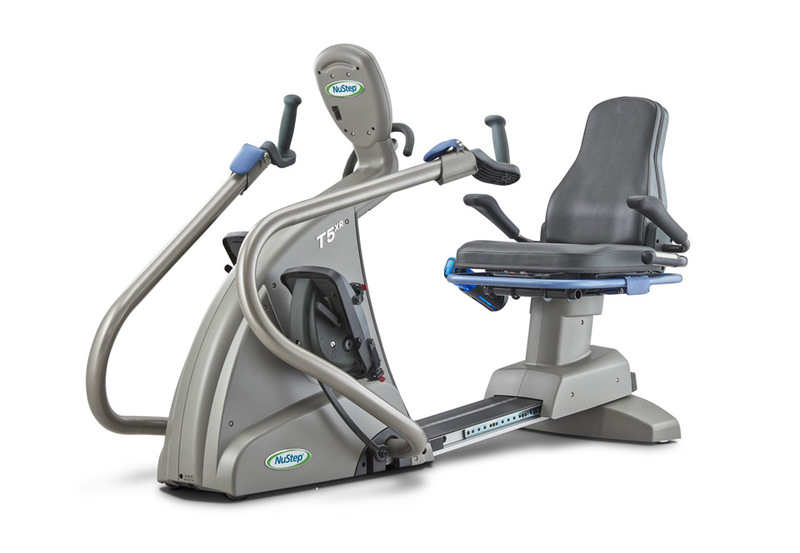 The T5XRW is our most inclusive cross trainer featuring a 22 inch-wide (56 cm) seat. 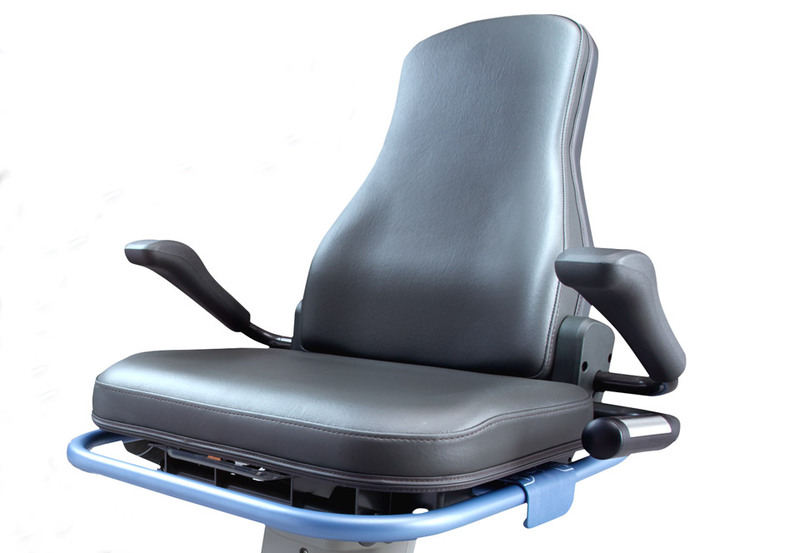 The T5XRW features a 22-inch (56 cm) wide seat to accommodate larger users and allow more space for users with limited mobility to transfer onto the machine. 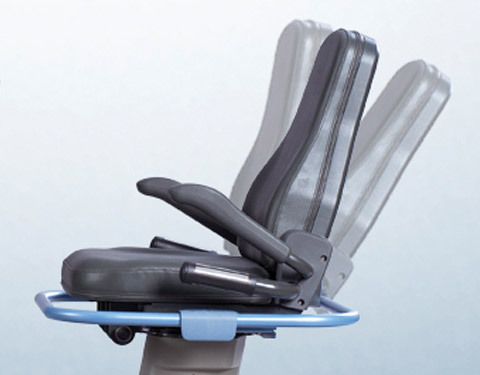 The comfortable, supportive seat spins a full 360 degrees and can be locked every 45 degrees to allow users to access the seat from any angle. 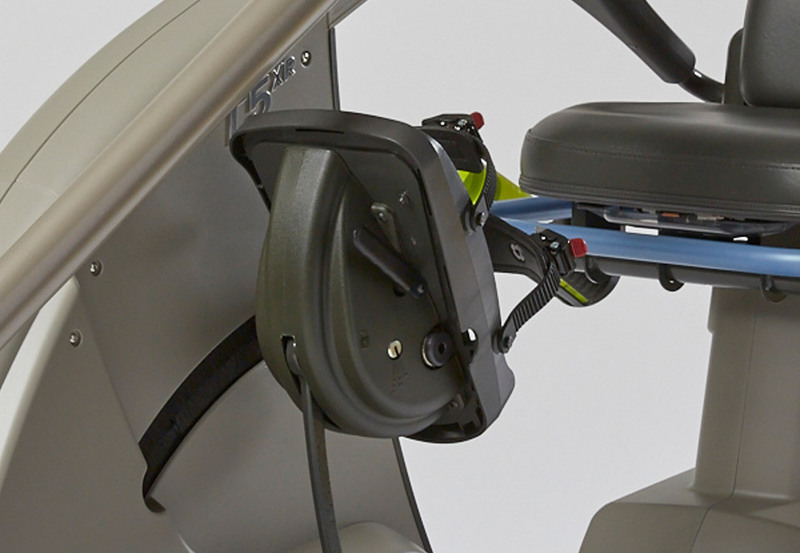 For added comfort, the seat back reclines up to 12 degrees. 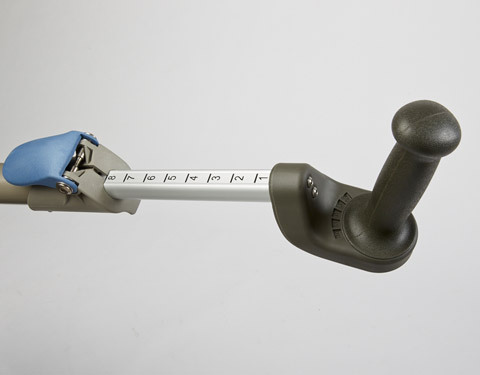 StrideLockTM locks arm handles and leg pedals in place, making it easier for users to get on and off. 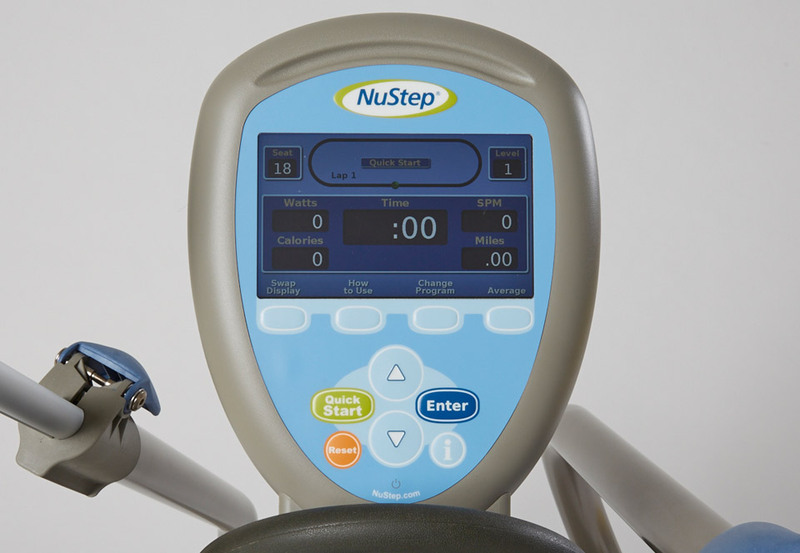 The foot pedals on the T5XRW are designed to accommodate feet of various sizes and users with limited mobility in their ankles. 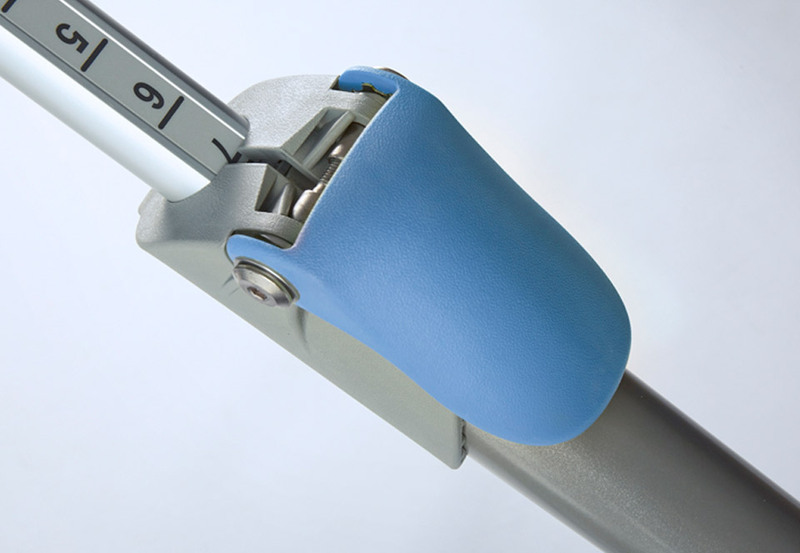 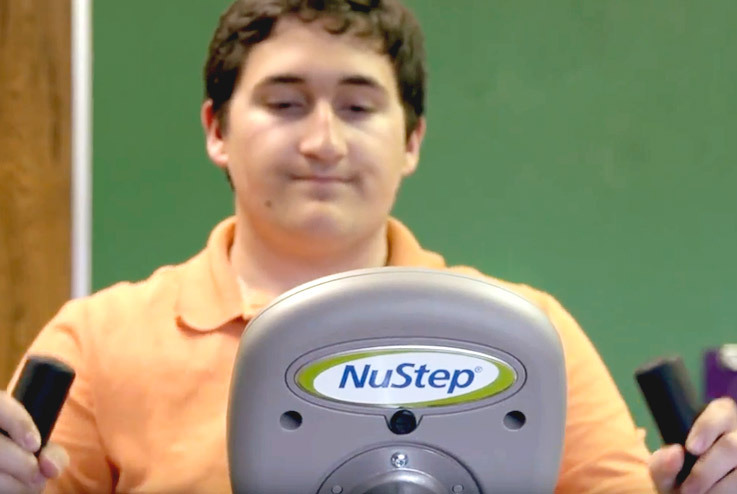 The flex foot feature allows users with dorsi/plantar flexion to adjust the angle of the foot pedals. 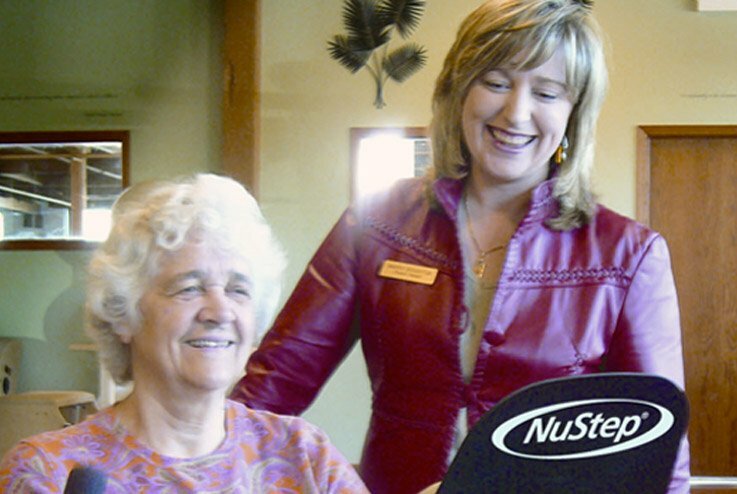 The ski boot-style foot-secure ratcheting straps keep feet in place during the workout. 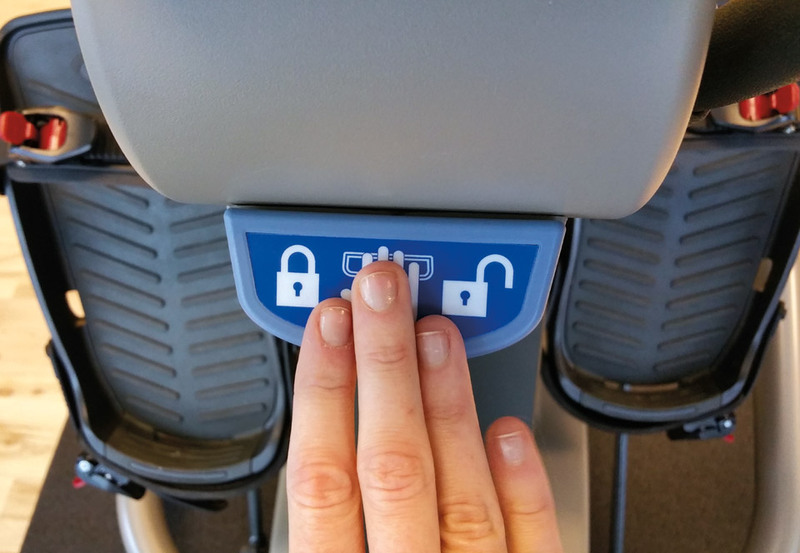 The easy-to-read LCD color display allows users to change resistance level, select from 13 workout programs, and view their current workout stats: time, distance, calories, watts, METs.